Epaulettes were gold with silver grade (rank) insignia. 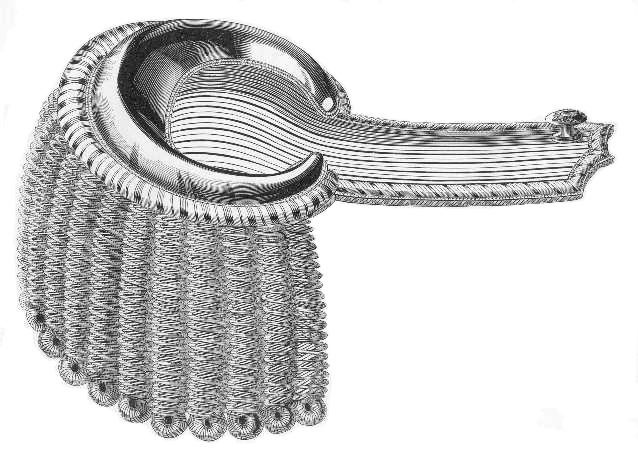 Epaulettes differed according to the insignia (devices) they displayed and the diameter and length of the bullion fringe hanging from the end. The devices indicated grade, branch of service and in some cases regimental number. They were worn when the uniform was worn as a dress uniform.